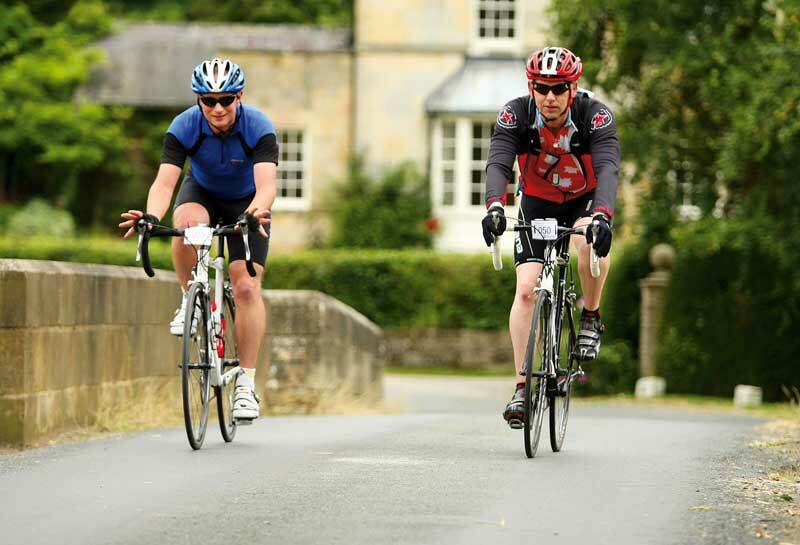 An amazing food selection, quiet country roads and supreme organisation made this new addition to the Action Medical Research’s 100-mile events a ride that will sell out in the years to come. One of 10 in a series of 100-mile rides organised by Action Medical Research, the York edition was well received by local cycling clubs. 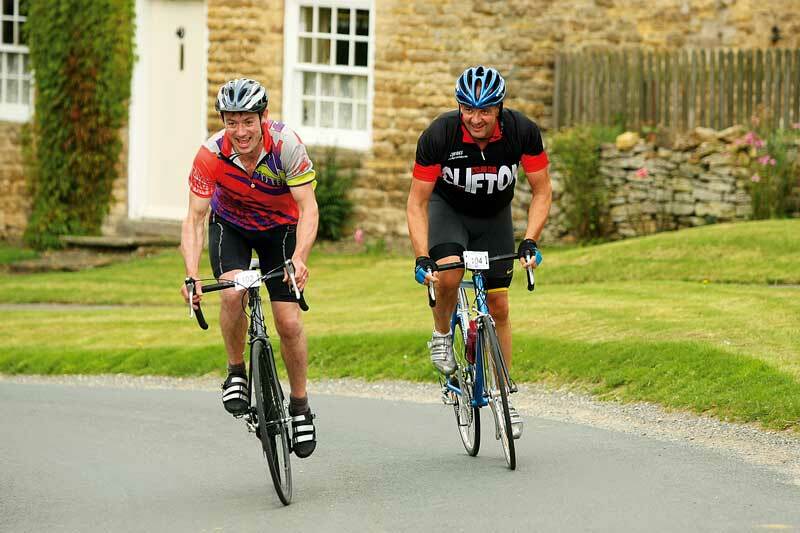 The aptly named Action York 100 was action right from the start of the course, taking cyclists out on a loop to the coast and back again, passing some of the Yorkshire countryside’s historic treasures. 252 cyclists were greeted with a slick registration in the sports centre at The University of York, and after a quick informative briefing, the ride began at the early start time of seven am. The supreme organization continued throughout the day, even though the weather threatened to come crashing down. With implacable route planning, riders were treated to carefully interwoven country lanes heading east towards the coast, before swooping around at Burton Fleming to meander back towards York. The tempo for the riders on the way out was high due to a ripping tailwind, but of course what helps one way, hinders the other, and turning meant the blissful tailwind turned into a soul-destroying head wind. The challenge for many was not only in the distance and testing conditions, but also the terrain. The highest point of the ride was early on at the 26-mile mark, clocking 768ft, which just left the steep rollers in the Howardian Hills, affording views of the Yorkshire Wolds. Special mention has to go to the feed stations and the sheer amount of top-quality food. The organiser has hit the nail on the head by catering to cyclists’ biggest pleasure – eating. Strategically placed, four feed stations were laden with cakes, fruit and sweets, all delivered with encouraging comments from the volunteers. In addition, there was an indoor lunch station situated just before the howling head wind. A huge buffet was presented for all, and gave more than enough options to suit any appetite. Heading out into the wind, riders left with a full bellies to conquer the remaining 50 miles. After some tricky navigation around tourist sightseeing buses and hotspot attractions, 248 riders were welcomed back to a convivial atmosphere, with more food, a medal and t-shirt. The finish stayed open until 8pm, giving everyone a chance to experience the finish. All monies raised were for the Action Medical Research team to work with children who are suffering from disease and disability, and to search for solutions to premature birth and pregnancy complications. An astonishing £22,000 was raised from one ride alone. With rides all over the country, cracking the 100-miler can become an achievable goal for anyone who’s up for the challenge. We were delighted with the number of riders that turned out for this new event, and the feedback has been very positive. The route was designed to showcase the area around York, and the terrain provided a tough challenge for some. Lots of smiling cyclists at the finish was a rewarding sight, knowing that they had enjoyed the day. The route was great and, as with any good ride, it had a few hills thrown in for fun. It also gave anyone who doesn’t live around this area loads to see of the surrounding countryside and attractions. The organisation was great, the route was well signposted and there were plenty of food stops. I was really pleased to be a part of the ride, as my wife and myself are expecting our first child any time now, and I think that the work Action Medical Research are doing is fantastic. I turned 30 in January and decided I was unfit and needed to get back in shape. York was my first 100-miler, and I really enjoyed it! The route was challenging yet very scenic and very well signed. My highlight was crossing the finish line to the clapping and whistle blowing from everyone. It was impressive to see the guys at the finish give every rider the same enthusiastic reception! I entered just to see if I could do it, really, and to impress my wife. It was my first 100; not my last either. The ride was just fantastic; every detail had been covered, even down the personal OS maps. Organisation was brilliant, signage top draw, food the best I have had on a large event. I entered with my partner and a friend, as we’re all keen cyclists but don’t tend to spend as much time as we’d like to on our bikes. It was the first time any of us had ridden 100 miles, and we thought if we had that target we’d find the time to put in some training rides. The route was wonderful. It had a great variety of rolling hills, some glorious downhills and numerous villages to look at as we passed through the Yorkshire Wolds countryside. My one slight gripe was the last few miles when we had to come down the A19 – a busy main road – into the centre of York, when we were tired and could have just done with an easy glide into the finish. I found the organisation absolutely brilliant. The feed stations and lunch stop were excellent; all the volunteers were encouraging and cheery. The signage was impressive and very clear; we didn’t miss any signs and were able to follow the route effortlessly. It wasn’t all an easy ride, though, as we were riddled with punctures. My friend punctured on the speedy downhill into Thixendale, and then again in the town, where we discovered a split in her tyre. We then realised there was no mobile signal, and to top it off the phone box did not take coins. Fixing it as best we could with the help of two kind blokes, who fixed a puncture repair patch onto the inside of the tyre to stop the inner tube coming through, we continued to get a third puncture 14 miles beyond Thixendale. Disgruntled, we were very lucky to have reception, and a friend brought out a spare wheel. The highlight was getting to the finish line and still receiving a wonderful welcome from the volunteers and marshals. We completed the 103 miles in exactly 11 hours, despite all the punctures. I really enjoyed the celebratory drink I had on Sunday night!